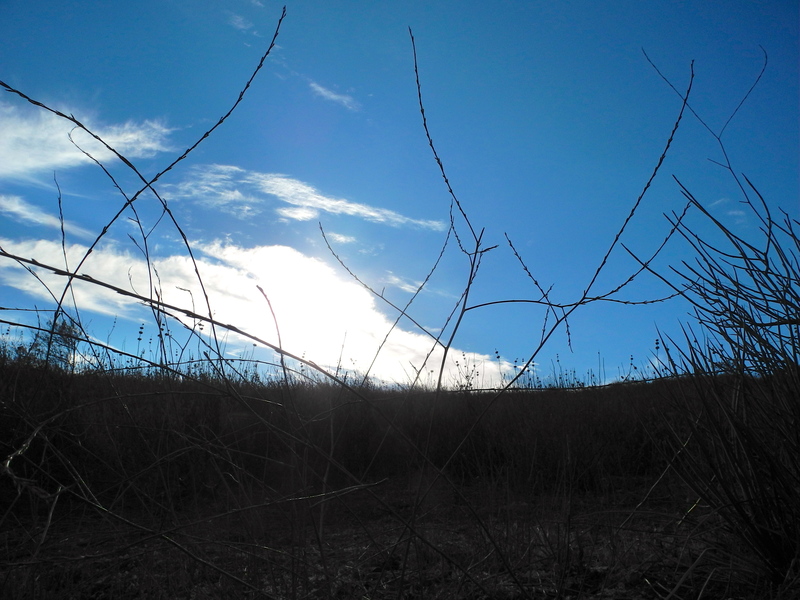 I saw a bit of heaven today, in the blue sky at the top of a hill alongside a narrow steep path. I felt a little bit of heaven in the freedom of a quick hike, squeezed in between obligations – a stolen moment for a secret thrill. I heard the rhythm of heaven in the life affirming pounding of my heart and the slapping of my soles upon the dirt. I smelled heaven today, in the scent of brush and sun burnt dirt, and cool shade-loving plants. Heaven tickled me today, as the birds hopped from clumps of tangled underbrush out into the open, and then, before I could get close – back into the brush again! It was a busy day today, one in a series of days that bounced up and down between duties and delights. And today came near the end of a week made up of a series of that same type of day. And so, mid-errand today, I pulled my car over into the dirt parking lot of a secluded trail head that I’ve often visited. I pushed the pause button on my fast forward day and escaped for 15 minutes of heaven. I smiled with the realization that such a simple act of stealing a few moments on a trail resulted in such great happiness and the melting away of stress. I thanked the trail which took me up and around switchbacks and corners to a mysterious place, a place that only revealed itself to me after I continued to press on. And then, what a gift! The view! The deep breaths! The weeds were there. They framed my view of the heavenly cloud laden sky with their draping forms and they lent their company to me as I celebrated for a few moments, the heavenly pleasure of being alive.